You’ve gotten as far as shooting your own reel footage. Huge congrats! Or perhaps, you’ve finally gotten your hands on footage from past projects. Now you’re on to the daunting task of getting it all edited into a solid marketing tool that really nails what you do well. Because anything creative is subjective, this is the time you may encounter different opinions on how you should cut your reel together. Here are some guidelines to keep in mind as you're editing. 1. Retain focus. You’ve got roughly 60 seconds to knock their socks off. Share the screen as little as possible. Casting directors, agents, and managers want to see you on your reel. Give them what they want! It should start and end with your face, not your scene partner’s. Make it easy for the viewer to know who they should be watching. 2. Hold their attention. Keep the footage as succinct as possible. If a scene goes on too long, you risk losing your viewer. More isn’t always better. The majority of casting directors, agents, and managers that I’ve spoken to can and will make a decision on whether you’re right for the role or right for their roster in less than 10 seconds. 3. Put your best footage first. If you have a scene from network TV, or a scene with a recognizable actor, start with that. Let the viewer see them, but only enough to establish that they’re in the scene with you. If you don’t have that, start with a scene that showcases a role that you often go out for and/or book. Don’t risk saving the best for last. Montages are a thing of the past, but if you feel you must have one, place it at the end of the reel. Also, dated and poor quality footage should be cut altogether. Make sure you choose quality over quantity. 4. Don’t be afraid to trim footage. Too many times, actors are afraid to trim down a scene because they feel it might end up being confusing to the viewer. The viewer doesn’t have time to consider your character’s backstory, the plot, what happened before this scene, or what’s going to happen after. Keep it short. 5. Consider scene splitting. A recent and growing trend on submission sites is scene splitting. Instead of—or in addition to your full reel—it's helpful to post individual clips of scenes, and then label them accordingly. For instance, “Dramatic Lawyer Scene,” is especially helpful to casting directors. You’re already saving them time and energy by offering them what I like to call "casting-efficient" clips. The four basics to remember when putting your reel footage together are: What do you look like on camera? What do you sound like? Are you believable? And what roles would you be cast as? If your reel showcases those things succinctly enough to get you into the room, then you’ve got yourself a great tool for today’s fast-paced, constantly changing industry. Retta Putignano is partner and head writer of Create Your Reel (CYR), the Los Angeles-based demo reel production company that writes, shoots, and edits custom footage for actor demo reels. 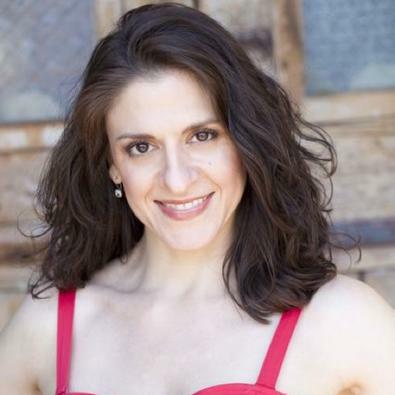 etta is also an actor, producer, and graduate of the Second City Chicago Conservatory. She has appeared in more than 20 short films and three features.